Concerned over injuries suffered by minors due to use of pellet guns by Armed forces for their involvement in protests in the Kashmir Valley, Chief Justice of India JS Khehar’s bench has told the Centre to find an alternative solution to control them, observing that “it is life and death issue”. The bench asked Attorney General (AG) Mukul Rohatgi to file a detailed reply by April 10 on what alternate effective steps could be taken to deal with such situation to control the agitating mobs in Jammu and Kashmir. Submitting a report prepared by the Home Ministry in a sealed cover, the AG informed the bench that between July 8 and August 11, there were total 252 attacks on CRPF camps across the Valley, 44 incidents of petrol bomb/ acid bottles/ kerosene and 1,775 personnel were injured in various incidents. “Every day there was terrorist attack, our nationalists and personnel were getting killed. It is very unfortunate. The problem is at border area. Some are sponsored, some are locals and people merge from different areas. It was not a peaceful protest. The situation was very serious during the period. The national security and sovereignty was at stake,” the AG told the bench comprising Justice DY Chandrachud and SK Kaul. Justifying the use of pellet guns, he said people with muffled faces come from different direction and it was difficult to identify their age before taking a decision to use pellet guns. On December 14 last year, the apex court had said pellet guns should not be used "indiscriminately" for controlling street protests in Jammu and Kashmir and be resorted to only after "proper application of mind" by the authorities. 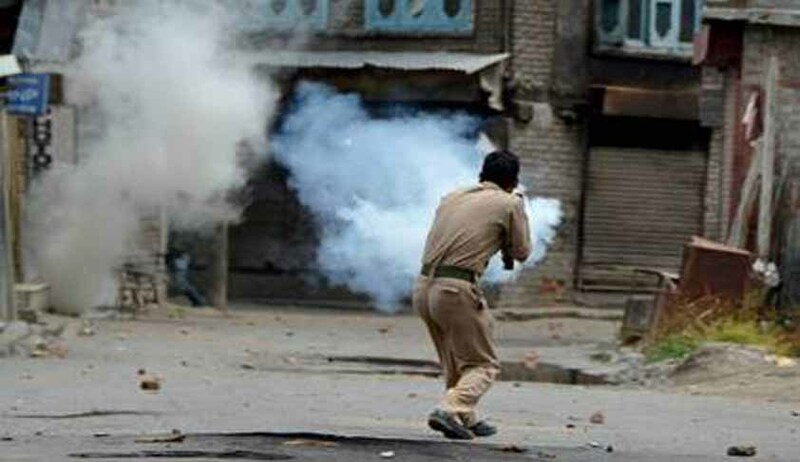 The court was hearing an appeal filed by the Jammu and Kashmir High Court Bar Association against the high court order seeking stay on the use of pellet guns as a large number of people had been killed or injured due to its use. On September 22, the Jammu and Kashmir High Court had rejected the plea seeking a ban on use of pellet guns on the ground that the Centre had already constituted a committee of experts through its memorandum dated July 26, 2016, for exploring alternatives to pellet guns. Pellet guns were widely used in the Valley during the protests that followed the killing of Hizbul militant Burhan Wani in July last year. Hundreds were injured by the pellets, many with serious injuries in the eyes.